Grew Up… on a little planet near Betelgeuse. Contrary to his claims, Ford Prefect is not from Guildford. In fact, Ford isn’t even human. He managed to get stuck on Earth while doing research for The Hitchhiker’s Guide to the Galaxy. Now, Ford has been stranded for almost 15 years and unfortunately, there isn’t a single flying saucer to be found on the planet. Living… on Earth, but not for long if the Vogons get their way. Ford has just received news that the entire planet is going to be demolished to make way for their hyperspace bypass. Profession…a wandering researcher for The Hitchhiker’s Guide to the Galaxy. 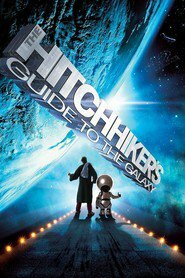 The Hitchhiker’s Guide is a highly successful device that provides information on everything a traveler needs to know, from Eccentrica Gallumbits to the Universe itself. Not that he tells his friends on Earth about his rather remarkable career. To them, he’s just a perpetually unemployed actor who really likes a drink. Interests… crashing university parties, getting drunk, and mocking astrophysicists. What else is a stranded alien supposed to do for fun? Relationship Status… single. Unless you count getting drunk and cornering some girl while slurring about flying saucers as a relationship. Challenge… getting himself and best friend Arthur Dent off of Earth before it and all of its inhabitants are destroyed. Ford has a plan: get onto the Vogon ship using his Electronic Thumb prior to Earth’s incineration. But Ford has no idea what the next step is, and the Vogons are not the best source for advice. Ford Prefect's popularity ranking on CharacTour is #1374 out of 5,000+ characters. See our top-ranked characters and read their profiles.